The Stour is a contemporary design which would suit both a modern style garden or a traditional one. It looks good as a screen around a swimming pool, barbeque or hot tub and it also sits nicely on top of a wall between piers. They are a standard 45 mm thick and will fit into recessed concrete posts. If the Stour panel is to be fitted between wooden posts we need to be notified of this when ordering. 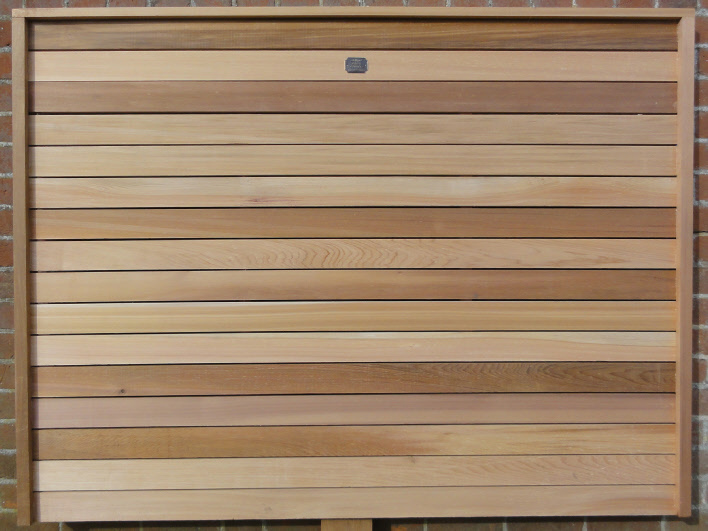 The pales (horizontal slats) are 15 mm thick which makes the Stour the heaviest and most substantial panel in our range. Compared with a 6ft standard DIY superstore panel which weighs a mere 10kgs the equivalent sized Stour weighs in at a hefty 40.6kgs. THIS IS A PANEL WHICH IS MADE TO LAST!!! This panel is constructed using high quality fixings and Marine quality adhesive. 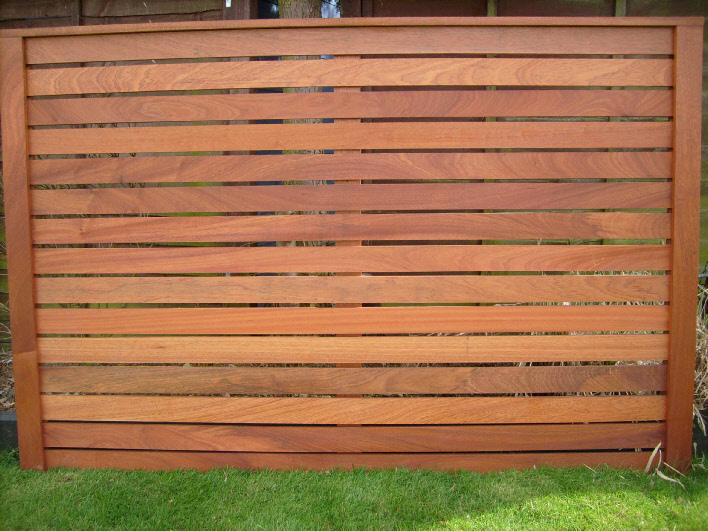 The use of Cedar for fences and gates is a natural choice because of its unique properties. Western Red Cedar heartwood is naturally durable and will last at least 60 years when untreated. The Stour is a contemporary design which would suit both a modern style garden or a traditional one. It looks good as a screen around a swimming pool, barbeque or hot tub and it also sits nicely on top of a wall between piers. The pales(horizontal slats) are 20 mm thick and is constructed using A2 Stainless Steel Fixings and Marine quality adhesive.